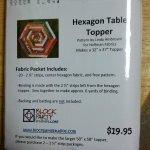 Make a colorful Hexagon Table Topper from this kit. 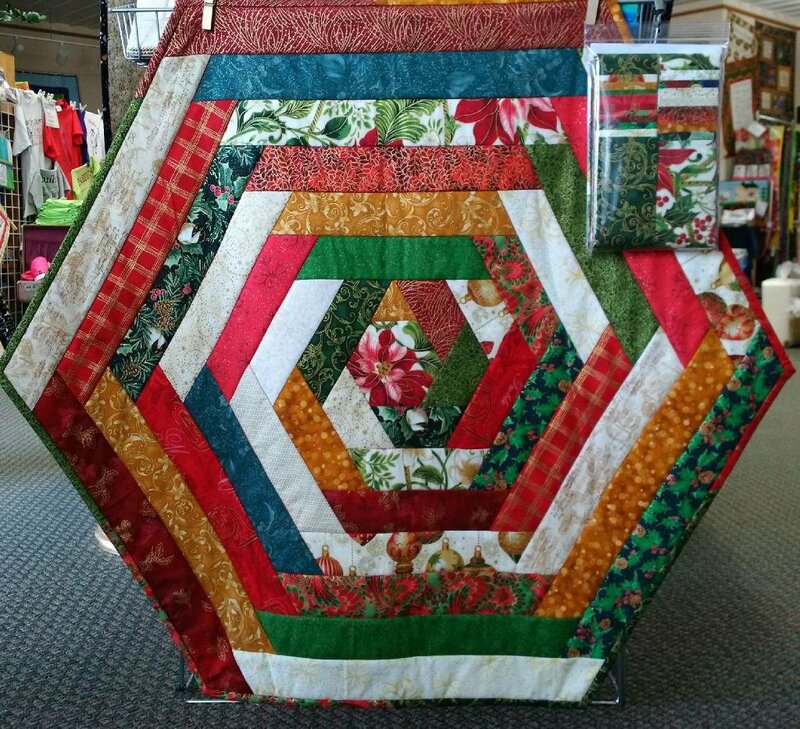 Makes a 32" x 37" table topper with option for larger topper with purchase of additional fabric. Fabric Packet includes: 20 - 2 1/2 strips, center hexagon fabric, and free pattern. Binding is made with the 2 1/2" strips left from the hexagon topper. Sew together to make approx. 6 yards of binding. Backing and batting are NOT included. If you would like to make the larger 50" x 58" topper, please purchase 2 - 2 1/2 strip packages.